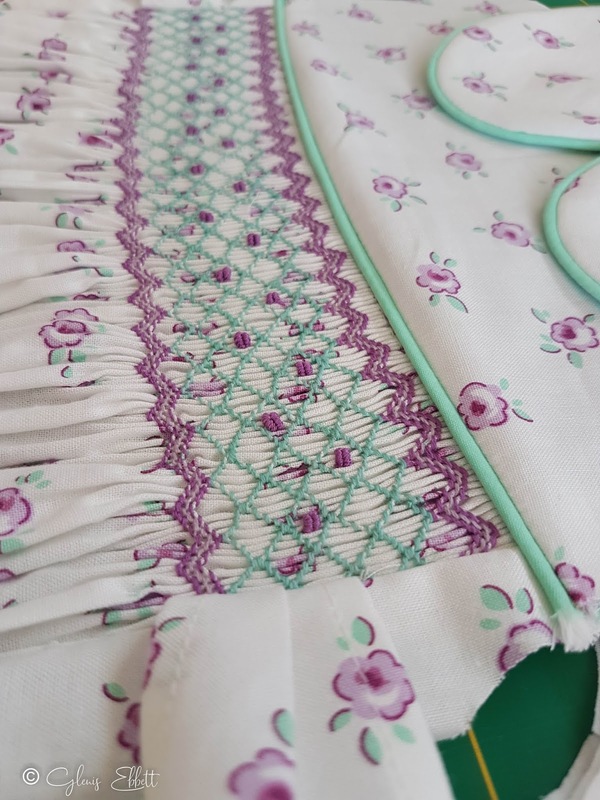 This is the first smocking I had done for about ten years and I have to say it took some time to get my rhythm again...much unpicking, but the results were worth it. 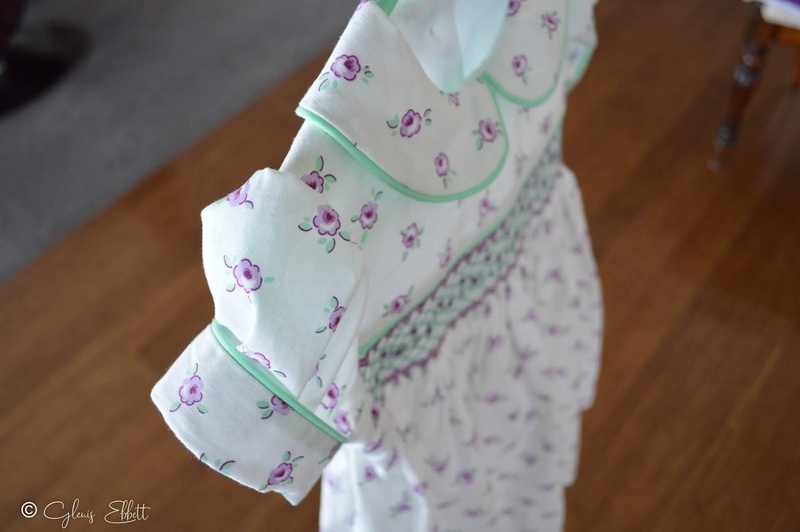 It was a Christmas dress for a special granddaughter and I'm only just blogging about it now, I really don't know where the year has gone. 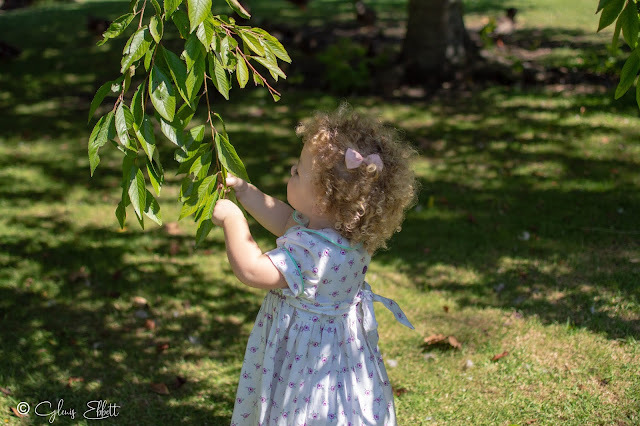 We went down to our local botanical gardens for a photo shoot and I think I took about ninety pics, well you can't have two many of grandchildren can you. 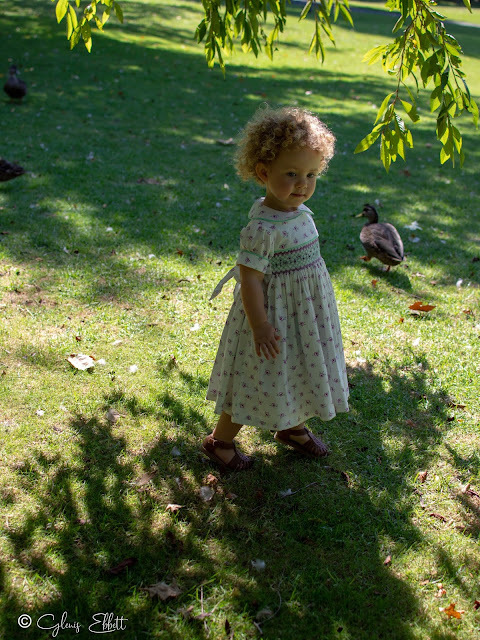 Lola was a little trooper and she didn't fall in the pond or sit in duck 'you know what' but I think the most smiles we got was when she sat in my car pretending to drive. 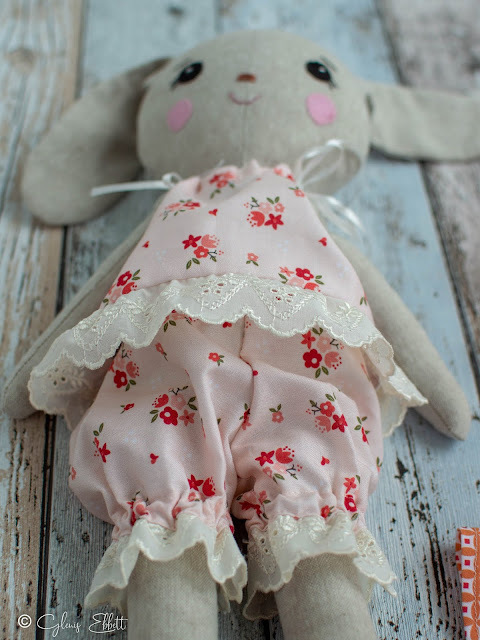 I chose this beautiful fabric because I wanted a white background with sprigs of flowers and this Elea Lutz fabric from the 'Little Dolly' range was perfect. 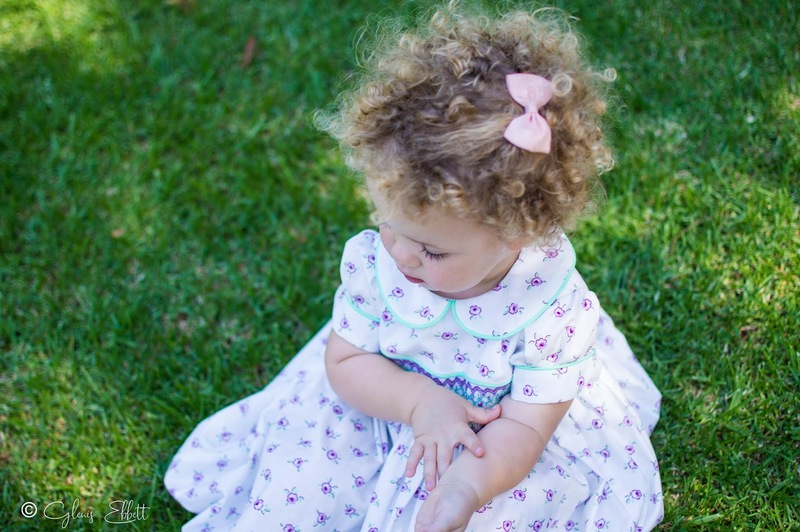 Isn't Lola so cute with her Shirley Temple curls and we don't really have curls in the family so this is so amazing. 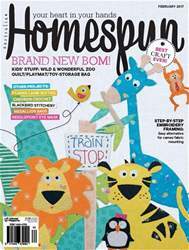 Make something for little boys...I have been asked this several times but with seven granddaughters I am drawn to sweetness and pink!!! 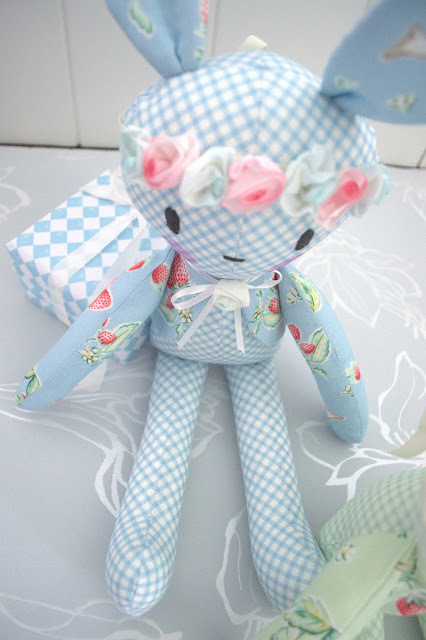 So here is a little simple toy that definitely is boy friendly although he could be made using soft sweet colours too. I have this pattern in my Etsy shop if you want to check it out. 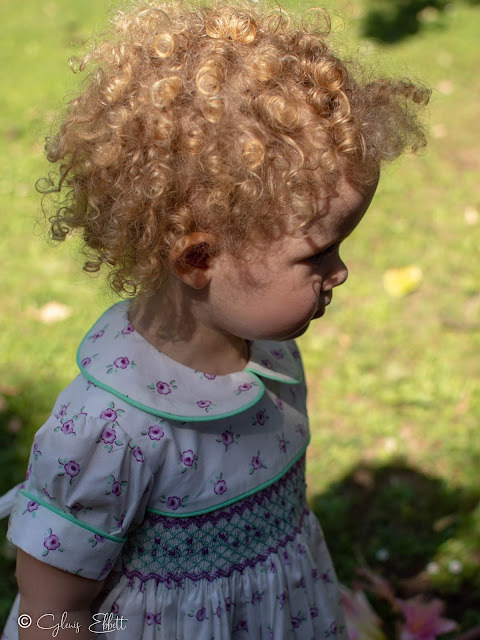 We have had mostly beautiful weather lately but with just enough rain to keep lawn and garden growing and really I should be outside enjoying it. 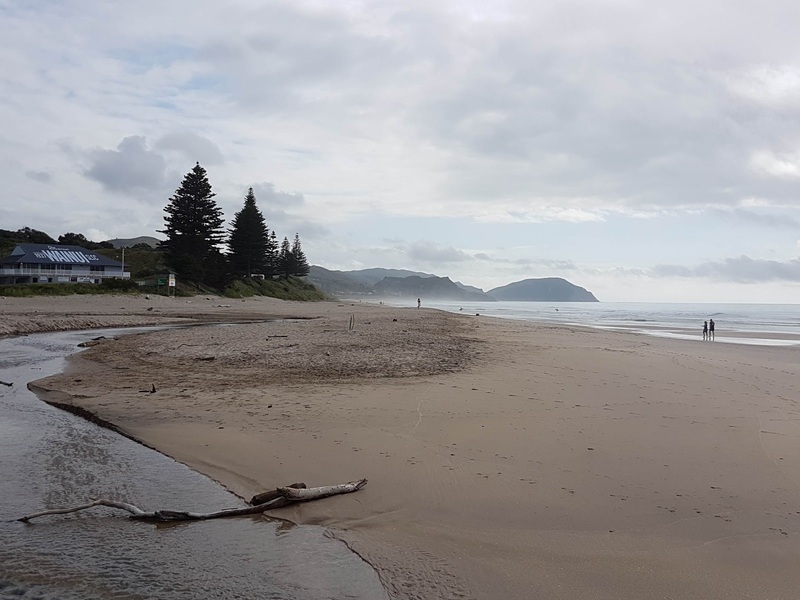 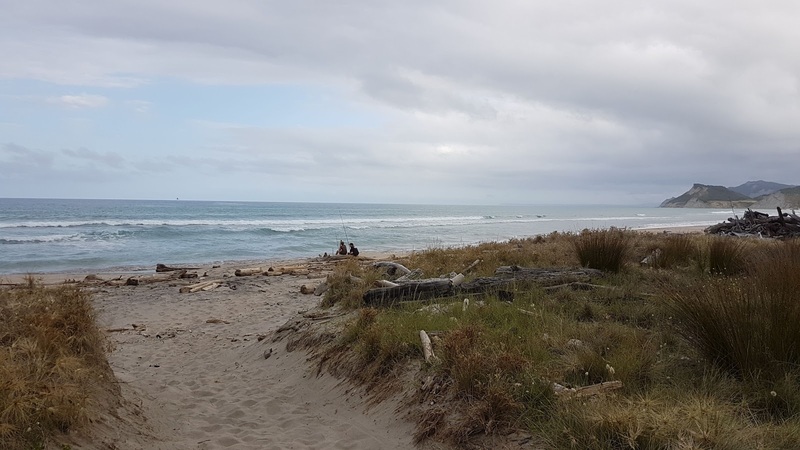 We walked on the beach the other day and it's so beautiful and hardly anyone there...well that's the beauty of my home town. 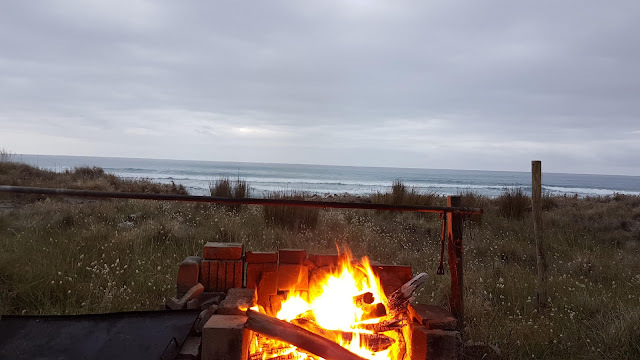 Night time BBQ by the beach and Agapanthus in full bloom, this is summer. 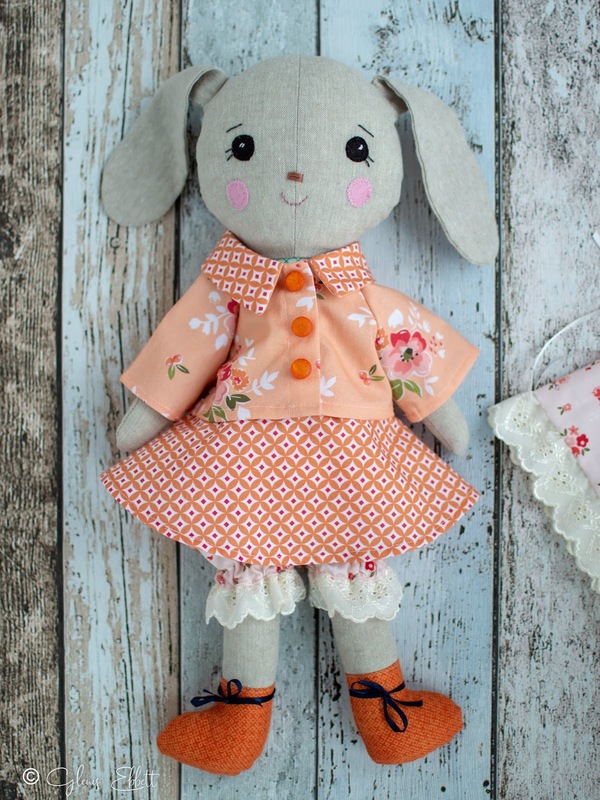 I have deviated from my usual and made a slightly larger doll but one that is easier to dress because she has clothes. 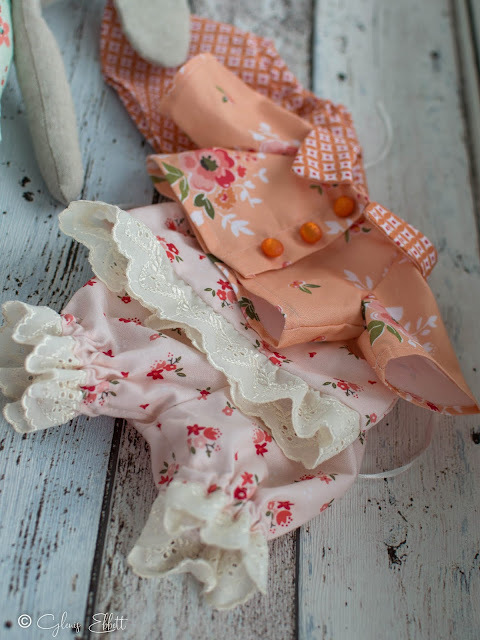 A summer wardrobe in fact, with a wee flared skirt, bloomers of course, a camisole for those warm days and oh a dear little jacket for out and about. 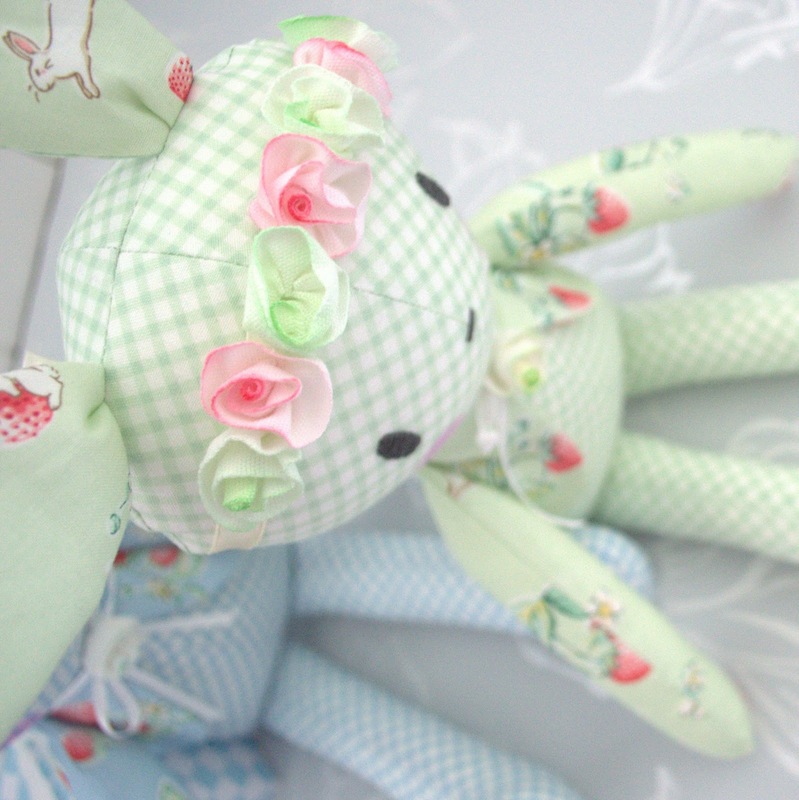 And although it is such a lot of work producing a pattern I am pleased with her...what do you think? 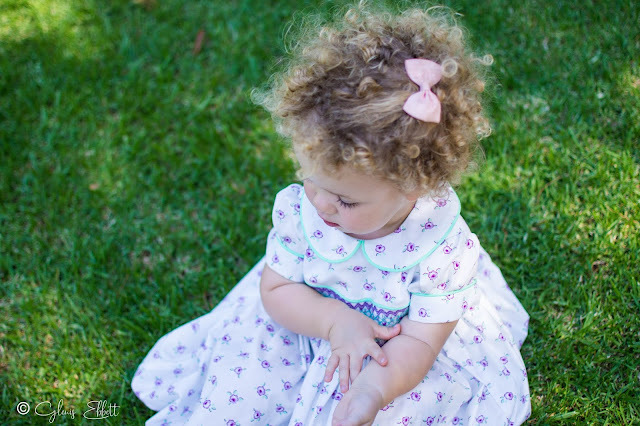 If you would like to try making molly and her clothes you van find the pattern here. Monty Monkey soft toy, new pattern. I know you haven't heard from me for a while and really no excuse, lots of grandchildren and I just got out of the habit of posting. 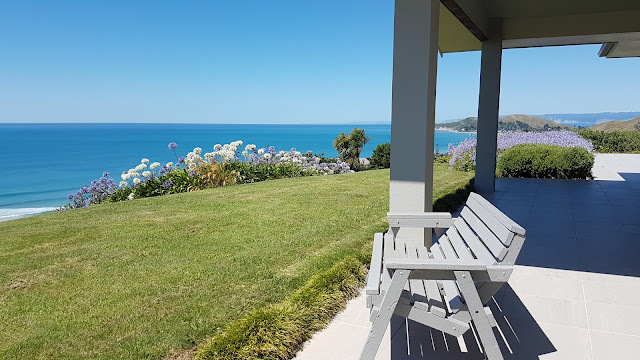 We are summer time here in this part of the world and today is such a hot day 31 degree C or 87 F so I have all the doors and windows open as I sit at my PC. 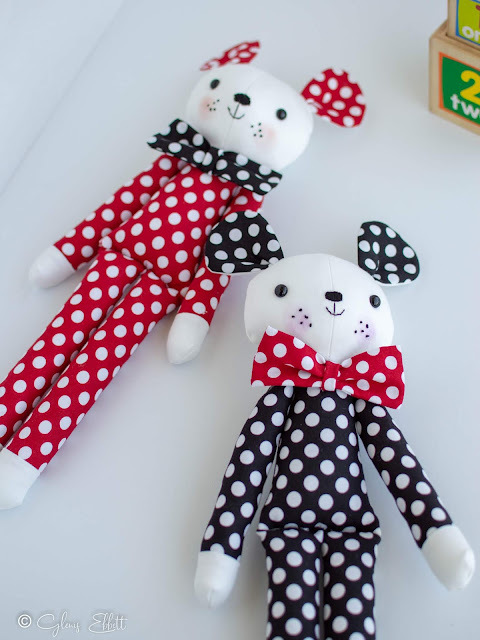 My latest pattern is a fun little monkey that I'd had in mind for ages, when my son was about four I made him one with Velcro on its hands and feet...the monkey spent most of his time attached to a tree or around my son's neck. I do love to do simple embroidery, small projects that are quick and oh so cute. 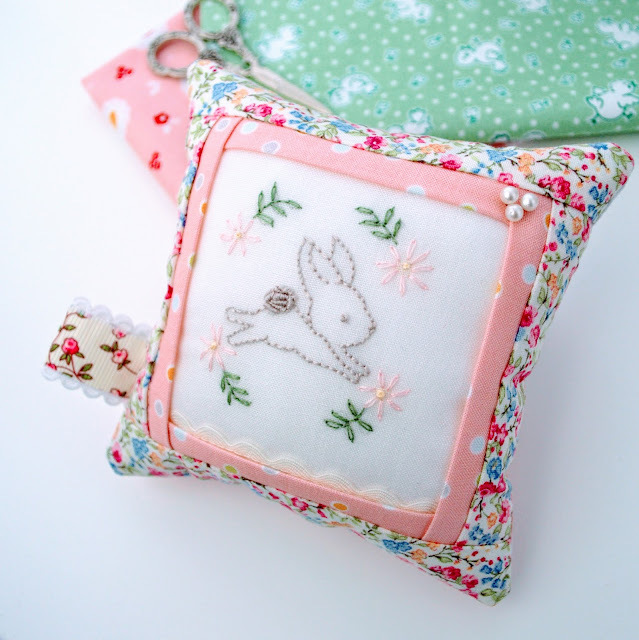 I've had such a lot of fun using this simple bunny to embellish my work, pincushions, pocket detail and whatever really, so I thought I'd share it with you. 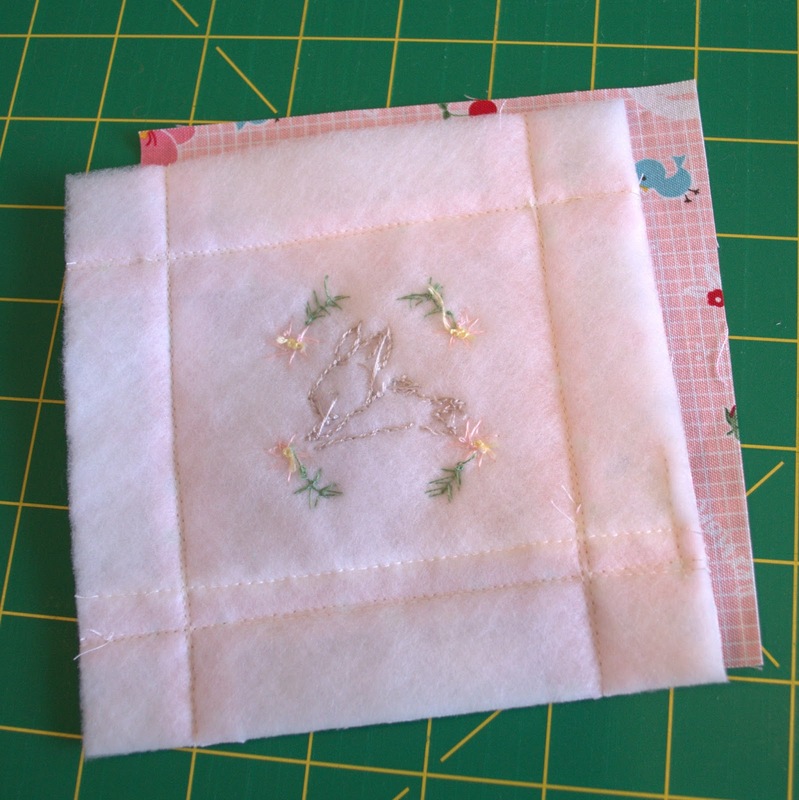 Cut one 7'' square of white or cream fabric, cotton or linen, either will be lovely. 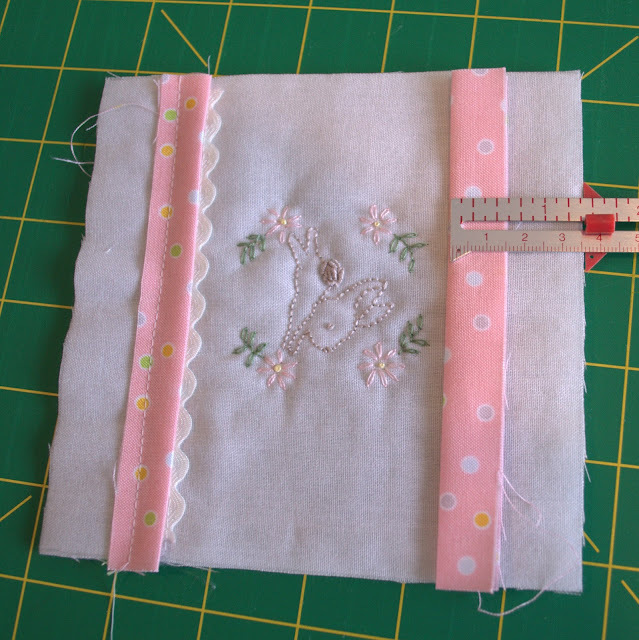 Transfer the design onto the fabric making sure you centre it, I find it easier to just trace my design with a soft pencil, but use the method you prefer. 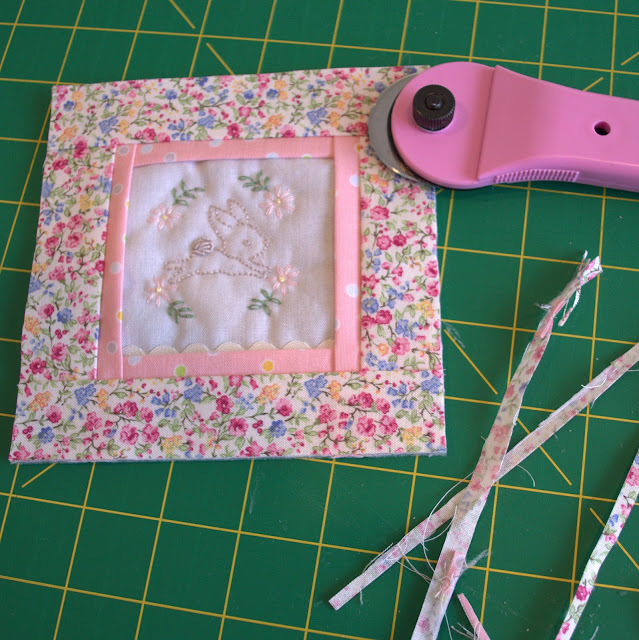 Cut one 7'' square of lightweight fusible batting and press it onto the back of your work after you have transferred the design. Using an embroidery hoop to hold your fabric embroider the outline of the bunny using two strands of DMC embroidery floss. 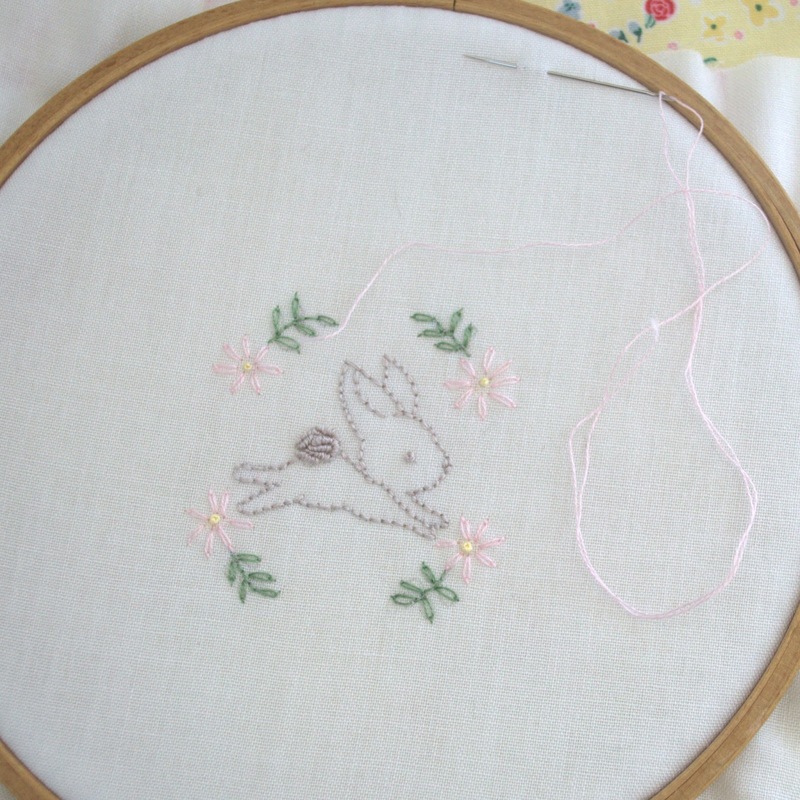 The eye is done with a French knot and the nose just a small straight stitch. 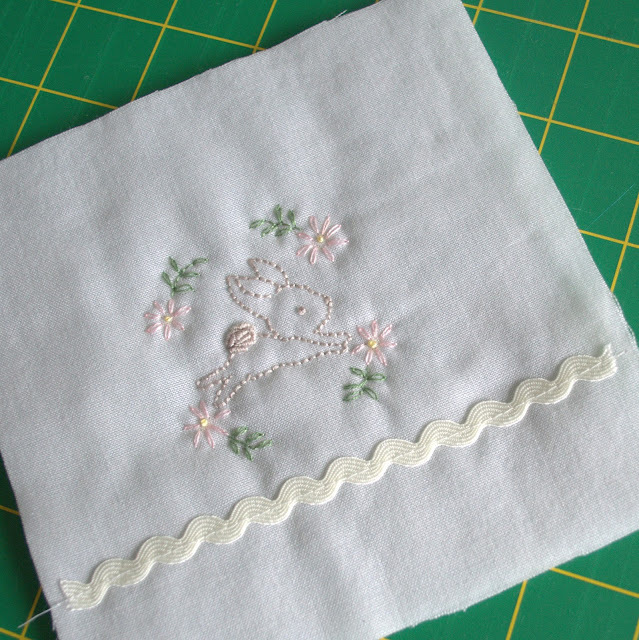 To do the tail just use a series of bullion stitches, now these don't have to be perfect to create a good look just as long as they look like a fluffy tail. 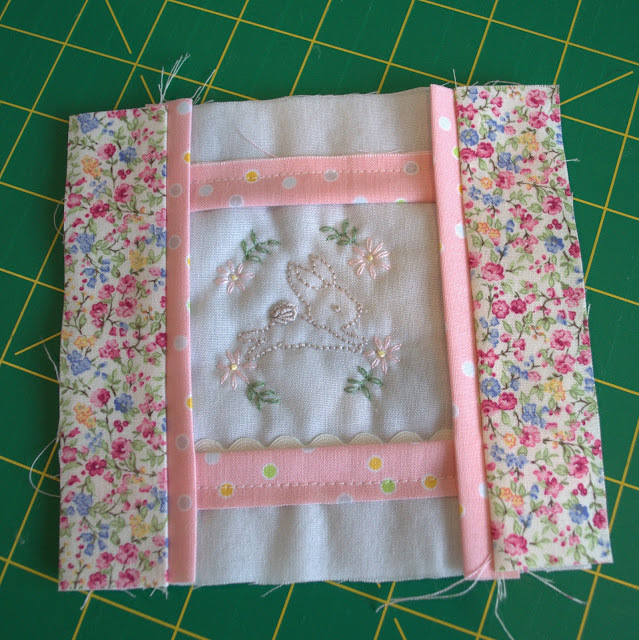 The leaves and flowers are done using lazy daisy stitch and just one strand of DMC thread. 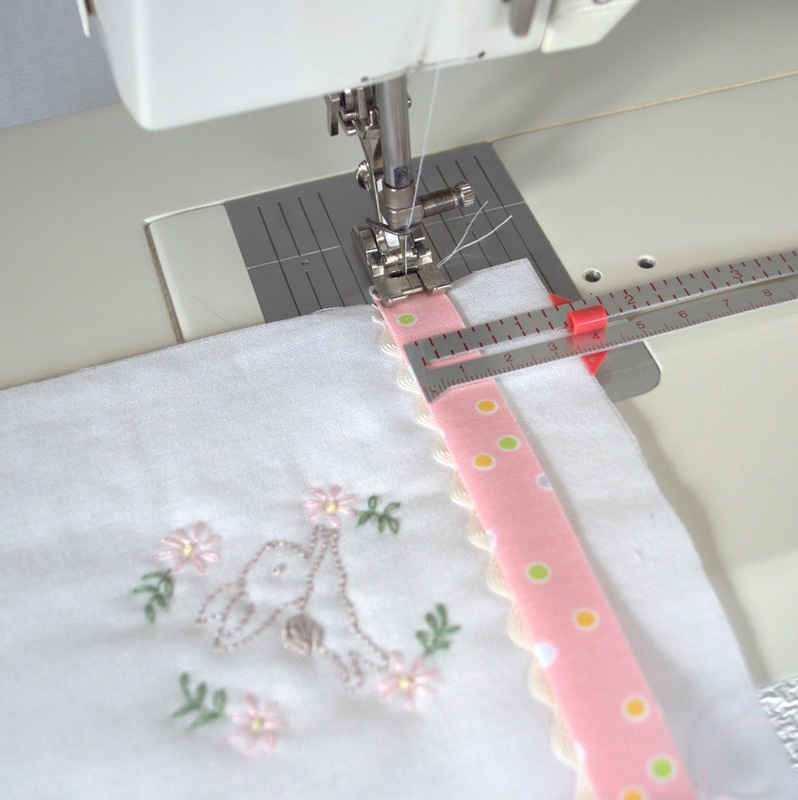 Trim your embroidery to a 5 1/2 '' square making sure you have the embroidery exactly in the centre. Fold the small borders or peeps as I call them in half lengthwise and press, position the top and bottom peeps 1 3/8'' from the top and bottom raw edges of your embroidered front. 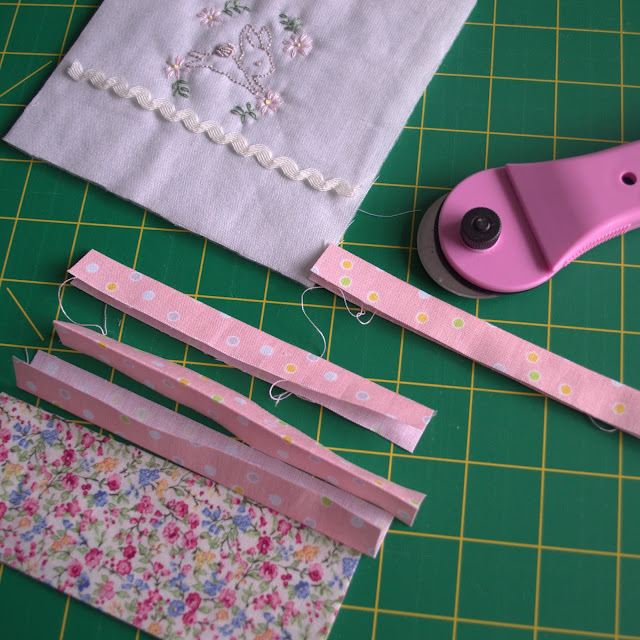 At this stage before attaching these you can add a trim, it can be lace or ric rac etc, stitch it in place so that the folded edge of the peep will cover it. Having the folded edge toward the centre and the raw edge toward the outer....stitch the top and bottom peeps in place using a 1/4 inch seam. 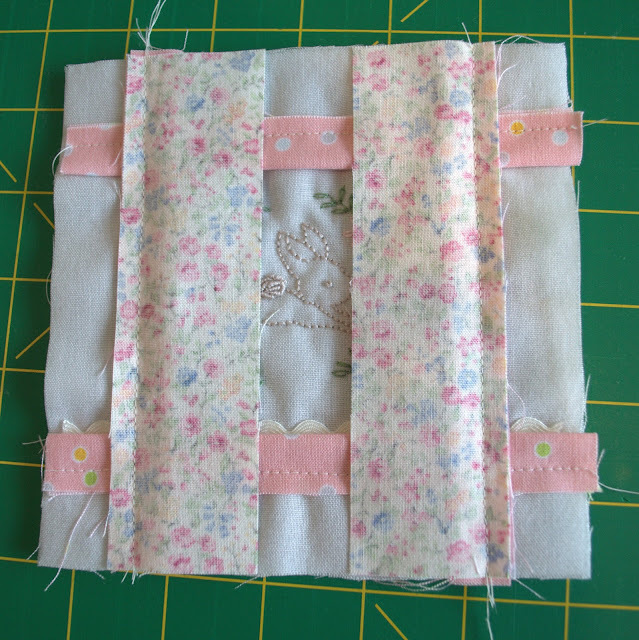 Now attach the two side borders using the same technique. 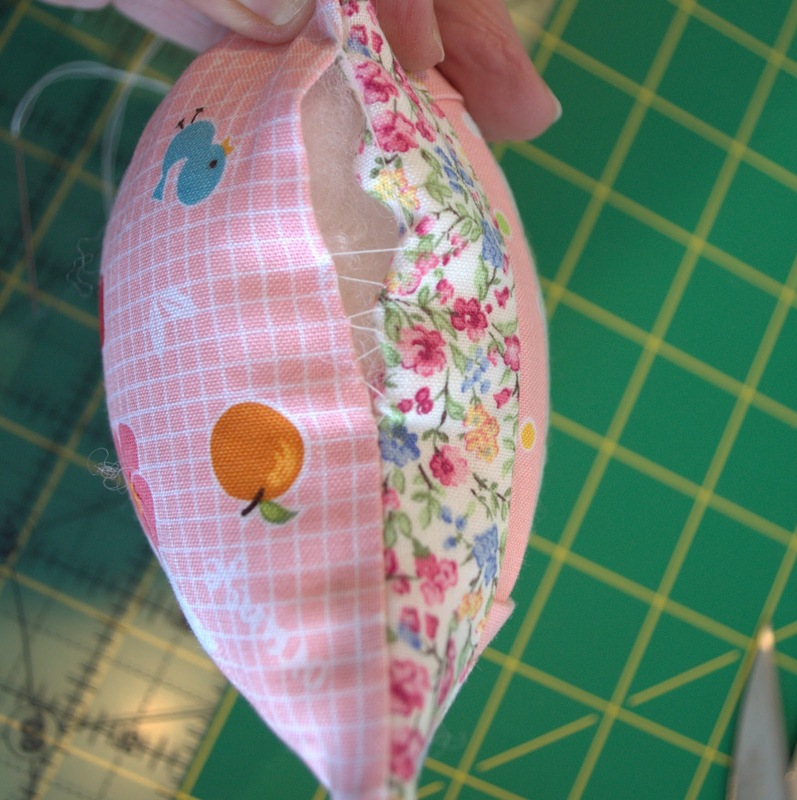 lining up the seams and stitch in place using a quarter inch seam, press open. Stitch the top and bottom borders in place using the same method, press open and at this stage you may have to trim the edges slightly to bring it back to the original 5.1/2 inch square. 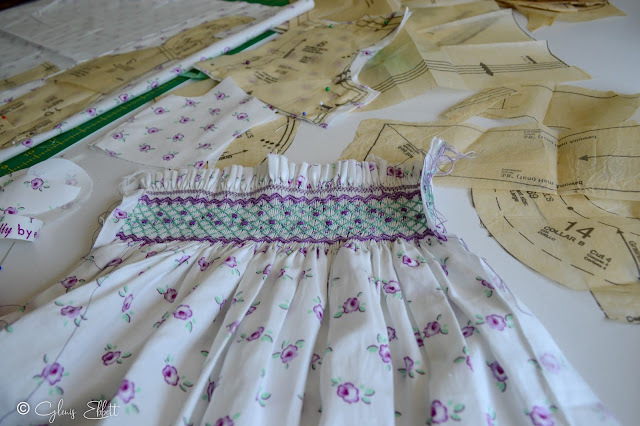 Place your front face down on the back piece and using a quarter inch seam neatly sew the two together leaving a two and a half inch opening for turning. 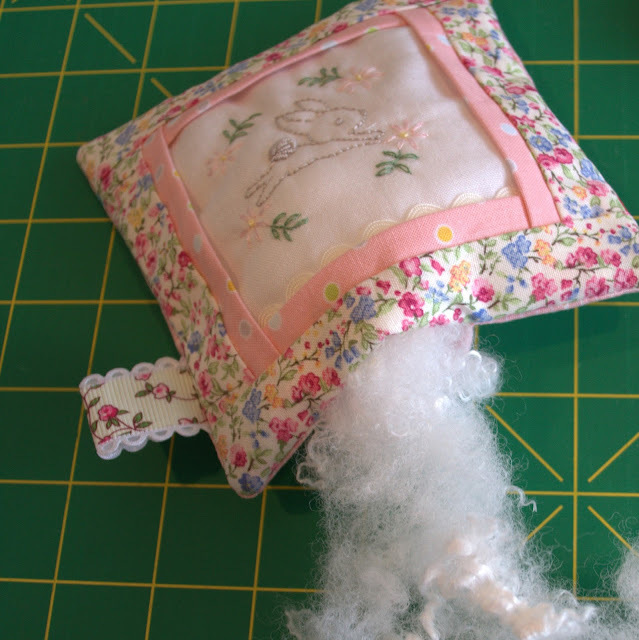 Trim the corners carefully, turn through and stuff with fleece. 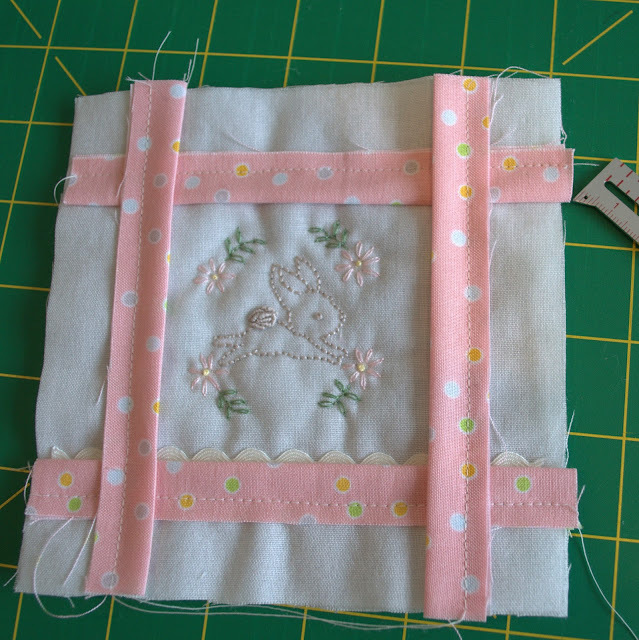 Using a slip stitch sew the opening closed, you can see I've added a little decorative tag just to finish the look. 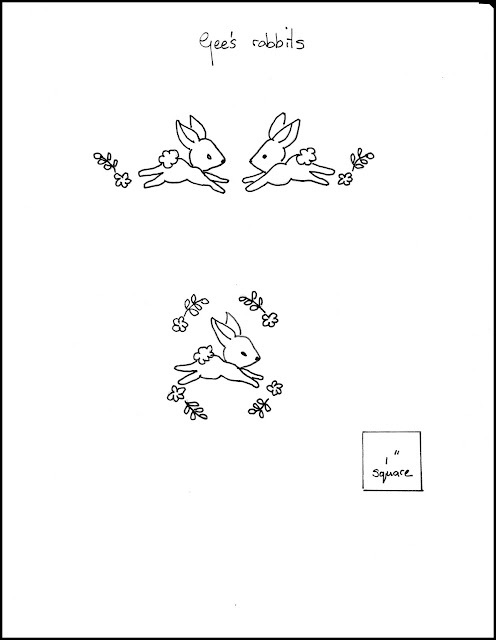 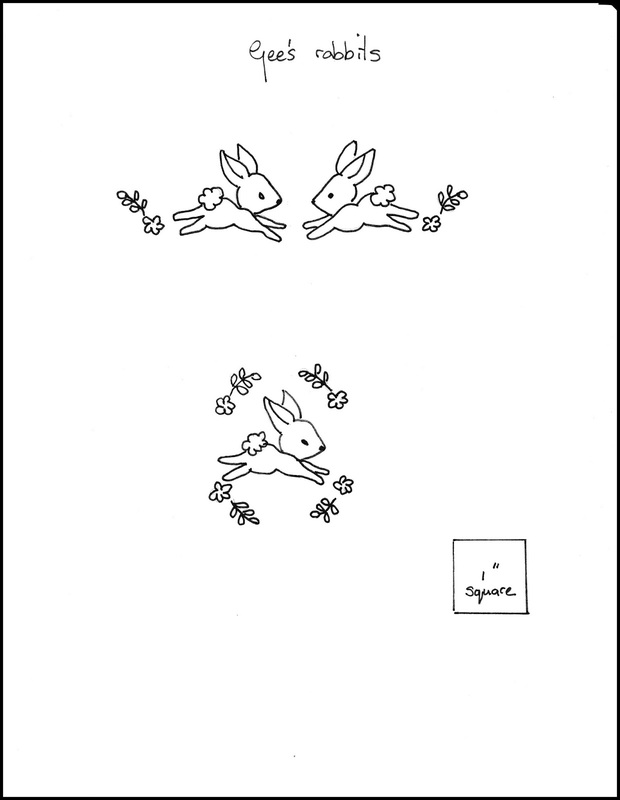 Below is my hand drawn rabbit image, print it out on A4 and use to create something sweet. 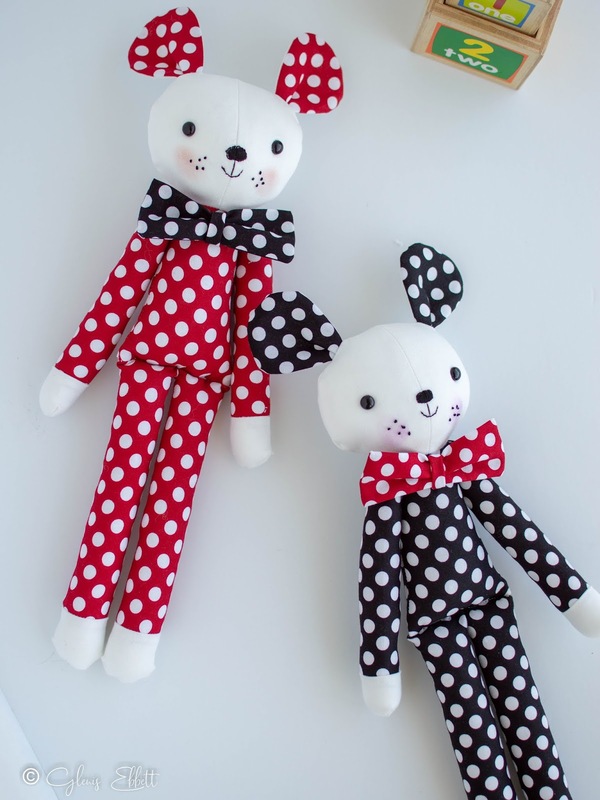 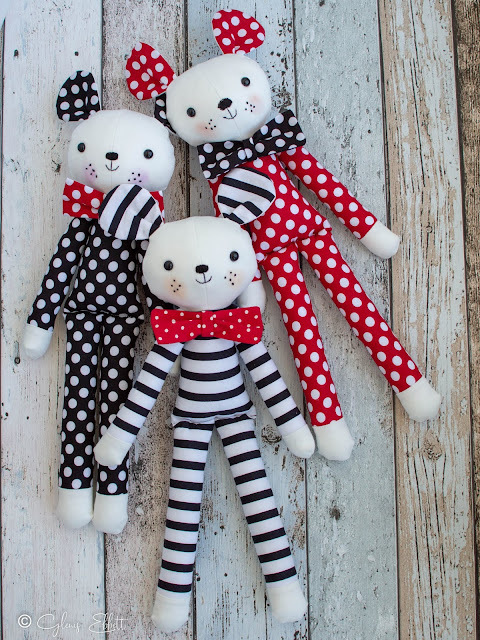 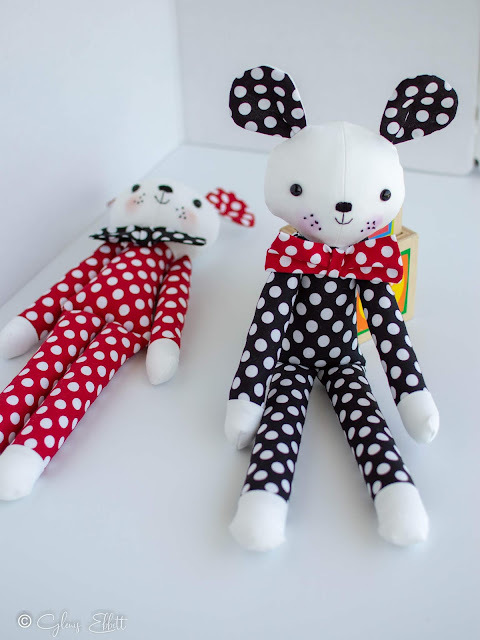 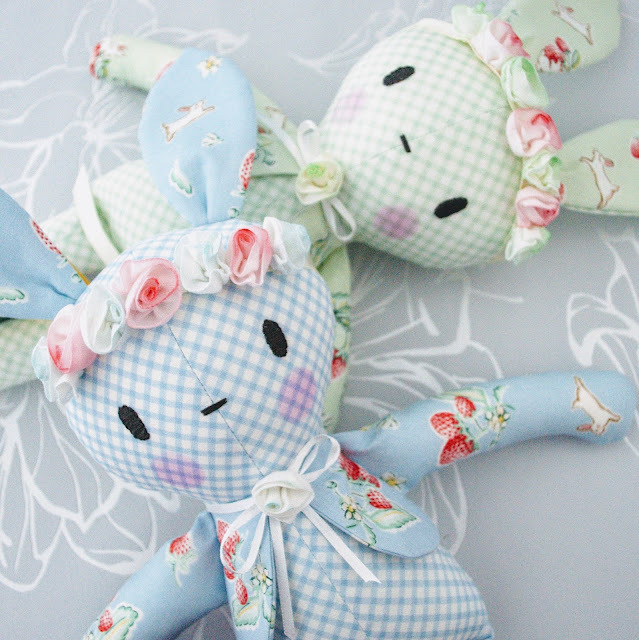 Bunnies and Cream..soft toys and other projects. 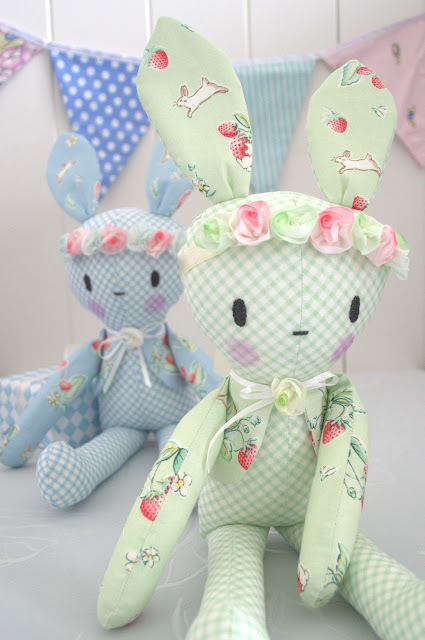 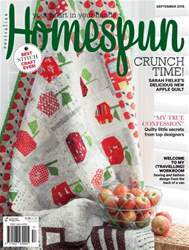 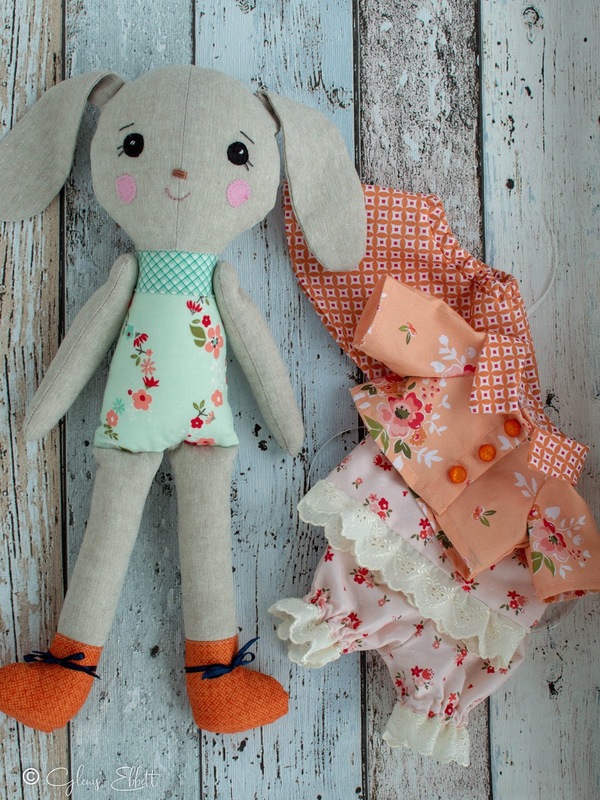 Have you ever seen such sweet fabric, bunnies, strawberries, flowers and gingham, all the elements to delight the maker. 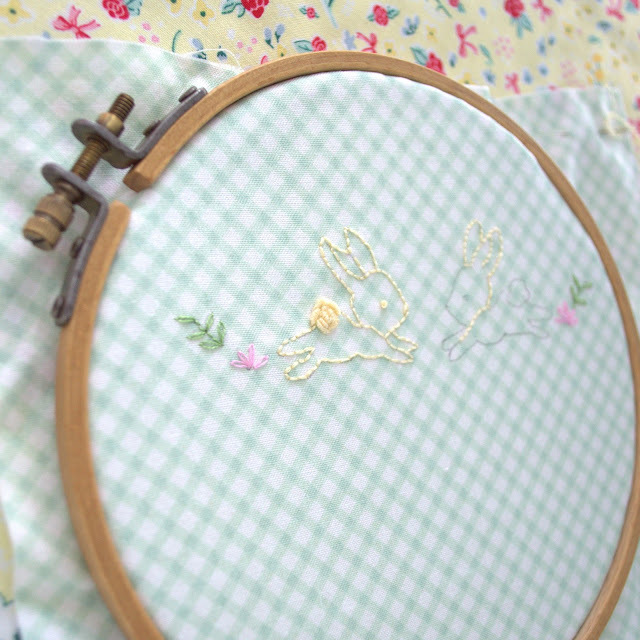 When this fabric first came out I thought how absolutely delightful and I bought it of course . 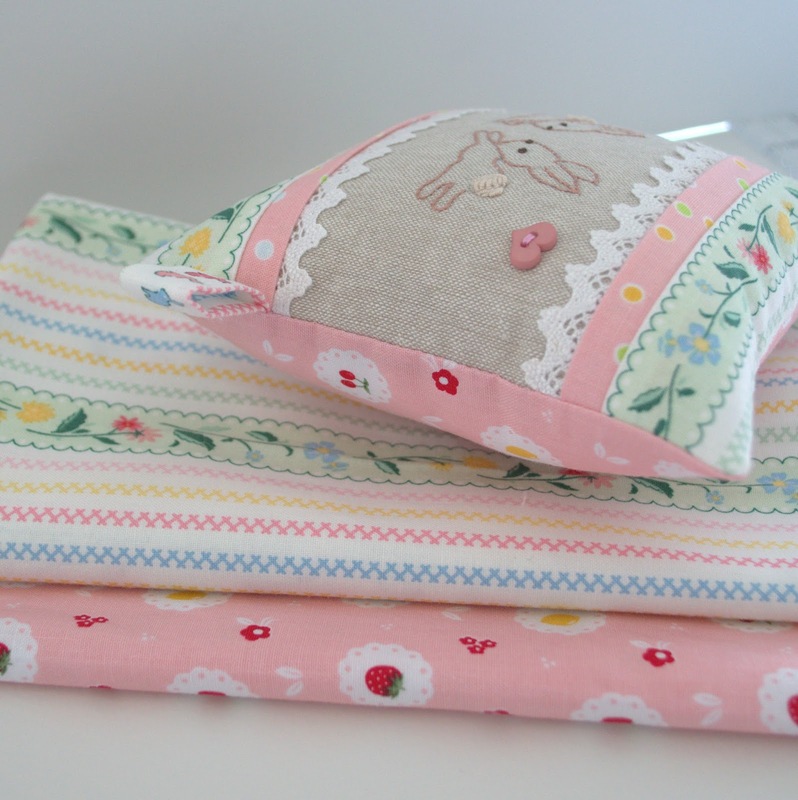 It was the soft colours and checks that first drew me in although the other designs from the range are just as lovely. 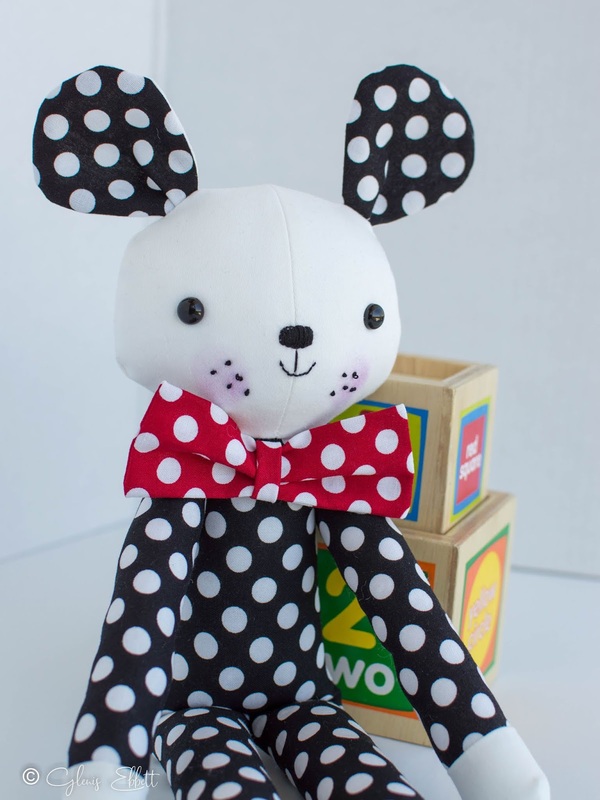 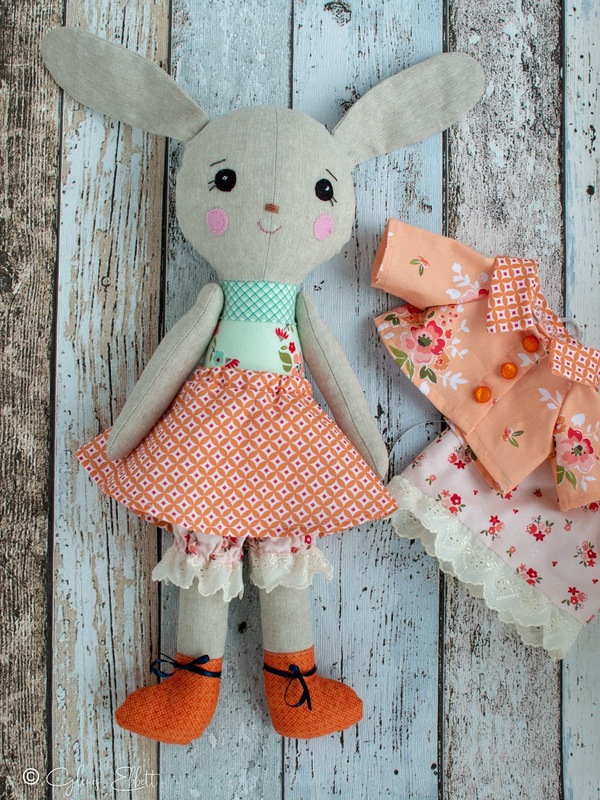 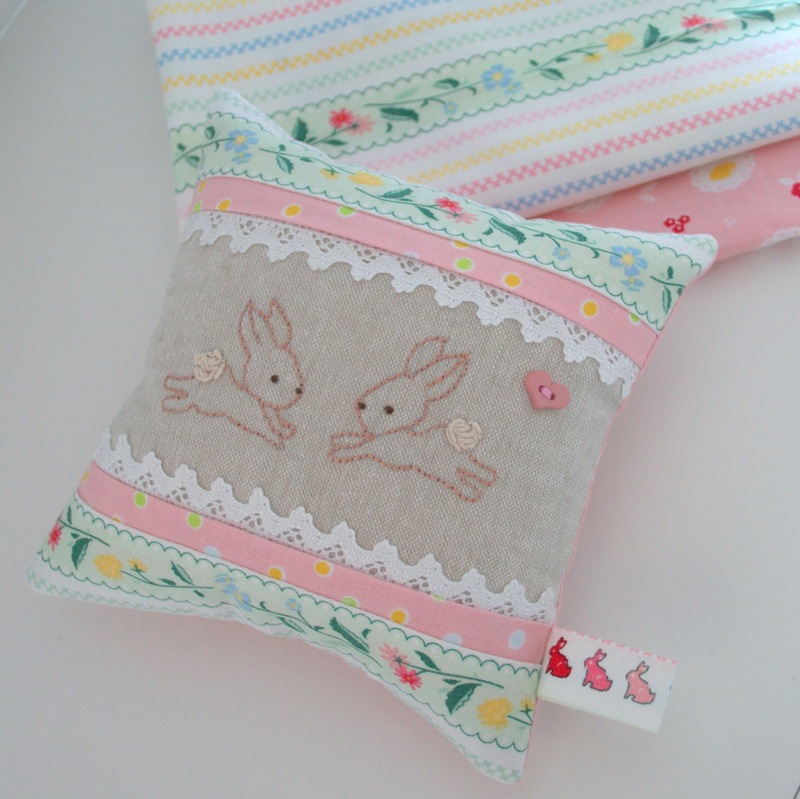 This of course is my 'Bobby Bunny pattern' and how gorgeous it looks in this fabric. 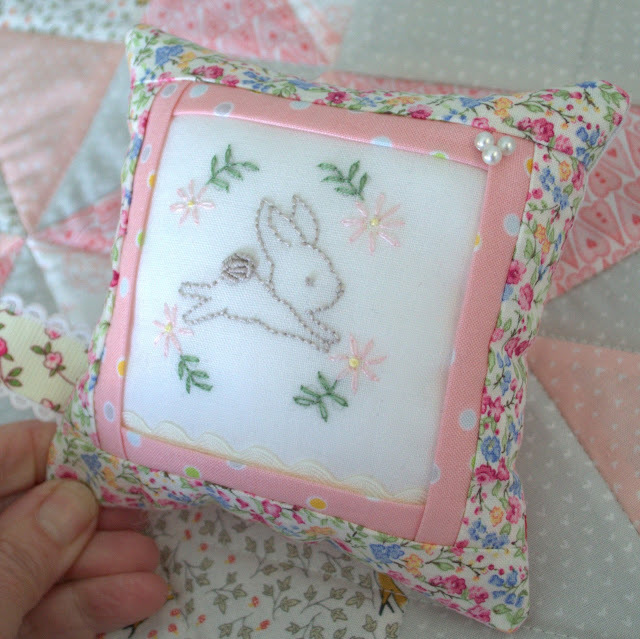 Other little projects are these sweet pincushions, so simple with the hand embroidered bunnies on the front. 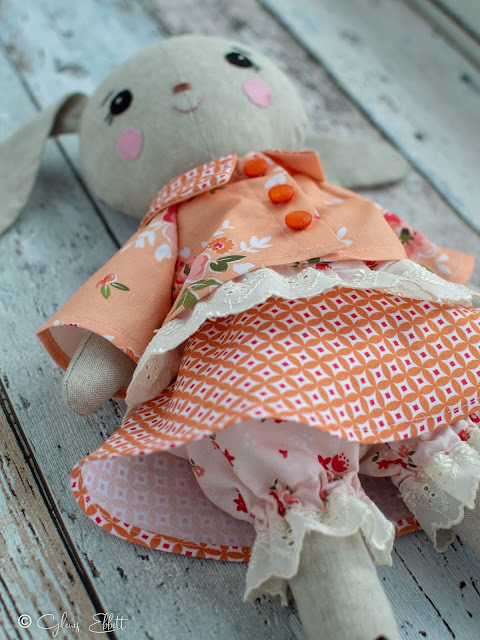 Just showcasing this sweet line of fabric by designer Lauren Nash, I have also used some Sweet Orchard fabric by Sedef Imer which is also one of my favourites.